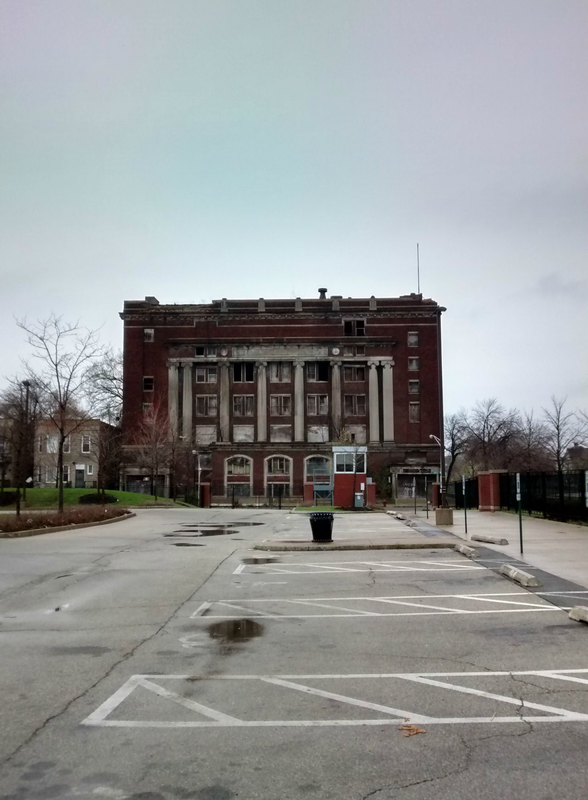 Two buildings in Englewood and Bronzeville are named some of Preservation Chicago’s “Most Endangered Buildings” of 2015. Every year, activist organization Preservation Chicago releases “Chicago’s 7,” a list of the city’s most endangered buildings. In doing so, they hope to raise public awareness about Chicago’s architecture and the threats these urban treasures face. This year, the Englewood Masonic Temple and IIT’s Main Building both made the list. Taking a closer look at these structures reveals the complex ways communities fight to preserve their architectural relics. 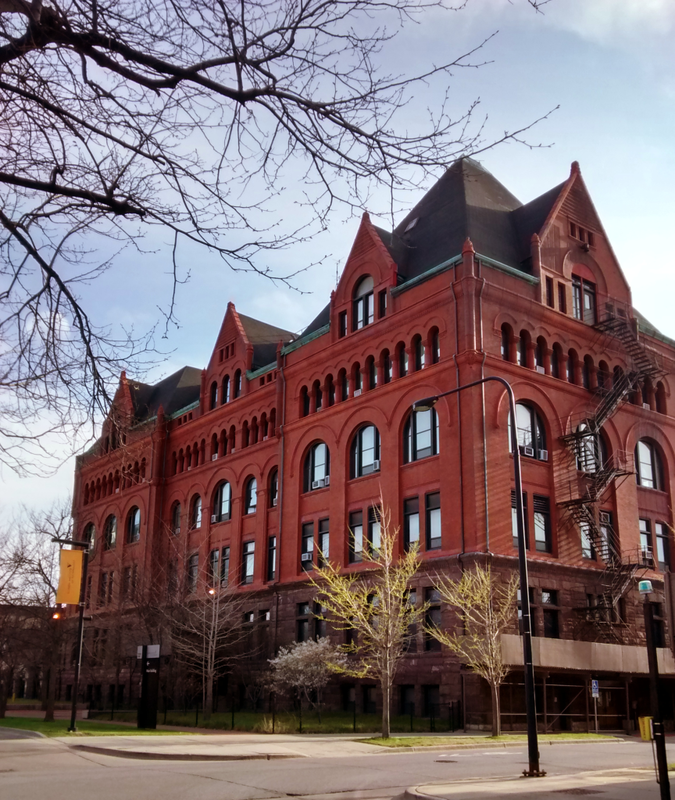 The Main Building, completed in 1893, was one of the first buildings on the campus of the Armour Institute of Technology, and now that the school has become the Illinois Institute of Technology, it is perhaps IIT’s most historic. When Philip D. Armour, member of a prominent family of meatpacking moguls, began building in the area, he had no idea he would soon be starting a college; he had originally sought only to create a nonsectarian Sunday school. But when the school’s librarian, Julia A. Beveridge, developed curricula in tile-making, wood-carving, drawing, and other skills in engineering and design, she built the foundation of the Armour Institute of Technology. After the merger of Armour with the West Side’s Lewis Institute into IIT in 1940, architect Ludwig Mies van der Rohe created a master design, envisioning fifty buildings to occupy 120 acres of land. One of the only university campuses in the United States designed by just one architect, IIT is renowned for its historic architecture, and the Main Building is officially designated as a Chicago Landmark. The last tenants of the Main Building moved out in 2012, when the building was barred from further use. Jeanne Hartig, Vice President of Marketing and Communications at IIT, considers the building’s Romanesque exterior a staple of IIT’s original aesthetic. The building was once heavily used and contained classrooms, a library, a basketball court, and administrative offices, including Hartig’s. Still, she could sense the building was falling behind the times. According to Hartig, the university is deeply invested in preserving the history of its campus, and the Facilities Department and Office of External Affairs at IIT is working with the Chicago Department of Planning and Development on upkeep to make sure the structure is stable and preserved. Still, speaking with current IIT students, opinions may vary as to how precious the school’s historic architecture history really is. The South Side Masonic Temple at 64th and Green Street in Englewood has been on and off the “Chicago’s 7” list since 2004. It is currently boarded up and has not been in use or developed since the mid-1980s, but it has a rich history as a community space, and some think it could be such a space again. The temple was originally constructed in 1921. Then just steps away from the former Englewood Shopping Center, it was central to the neighborhood’s bustling commercial and entertainment districts. The Masons were an active presence in the Englewood community, hosting events and parades in the neighborhood through the 1950s. After the temple’s membership dwindled, the building was transferred to municipal control and housed the Department of Human Services. It continued to serve as an important community center, offering adult education and senior services and hosting lectures in its 1000-seat auditorium. But in the 1980s, the Department of Human Services relocated, and the building fell into disuse. Many of the surrounding structures have since been demolished. In 1997, the temple was acquired by Prologue Schools, a network of alternative high schools. Prologue had hoped to rehabilitate the temple and develop it into an Englewood outpost of their school network. There were also plans to partner with Kennedy-King College, whose campus is located across the street from the temple. The college, which at that time had not yet opened, would house some of its students on the upper floors of the redeveloped building. Administrators at Prologue hoped to develop the campus as a feeder school to the pre-professional programs at Kennedy-King. But over the seven years during which Prologue owned the building, they were unable to cobble together the seven to nine million dollars in expected development costs. A combination of private money and TIF funding proved insufficient, and the organization was also embedded in an ongoing struggle to save the building. “We worked probably for six or seven years or more going in and out of court for every quarter of that time, trying to save the Masonic Temple from being condemned and being demolished,” Jackson said. The company they partnered with to rebuild the school left to work on a lower-cost project, and Prologue ultimately sold the building to a real-estate developer. Though there were plans to convert the temple into housing or retail space, those projects never materialized. Since then, the building has been slowly deteriorating under exposure to the elements. Hi! My name is Alex Sparhawk with DL3 Realty. We recently developed the Whole Foods anchored shopping center at the former site of the Englewood Mall. As a pet project I am looking into the South Side Masonic Temple. In particular, I am trying to locate interior pictures and/or old blue prints for the building. Are you able to assist or put me in contact with Dr. Jackson? My name is Jose Vega and I’m a Mason from lodge #1133 in Summit, IL. I’d like to bring this building up at my next meeting to see if we could start a GoFundMe campaign to raise money to restore the Masonic Temple. WOW I remember going here to sign up for the CEDA program.This Building had so many different programs back in the day.If I had the money I would have saved it.History destroyed this breaks my 💓.